"Internet Archaeology is an international scholarly journal and one of the first fully peer-reviewed electronic journals for archaeology. It published its first issue in 1996. The journal is produced and hosted at the Department of Archaeology at the University of York, UK and published by the Council for British Archaeology." "Internet Archaeology's first managing Editor was Dr Alan Vince (1996-1999). The journal is currently edited and maintained by Judith Winters (since 1999). The journal is co-directed by Prof. Julian Richards (University of York) and Dr Michael Heyworth (Council for British Archaeology) and supported by an Advisory Committee made up from representatives from the British Academy, the Archaeology Data Service, the archaeological commercial sector, and a range of leading universities from around the world." "Internet Archaeology was established with funding from the JISC's Electronic Libraries (eLib) programme. It currently raises the majority of its income from a mixture of institutional and individual subscriptions and advertising. Content makes use of the potential of internet publication to present archaeological research (excavation reports, methodology, analyses, applications of information technology) in ways that could not be achieved in print, such as full colour images, photographs, searchable data sets, visualisations/virtual reality models and interactive mapping. The journal's content is archived by the Archaeology Data Service (ADS)" . 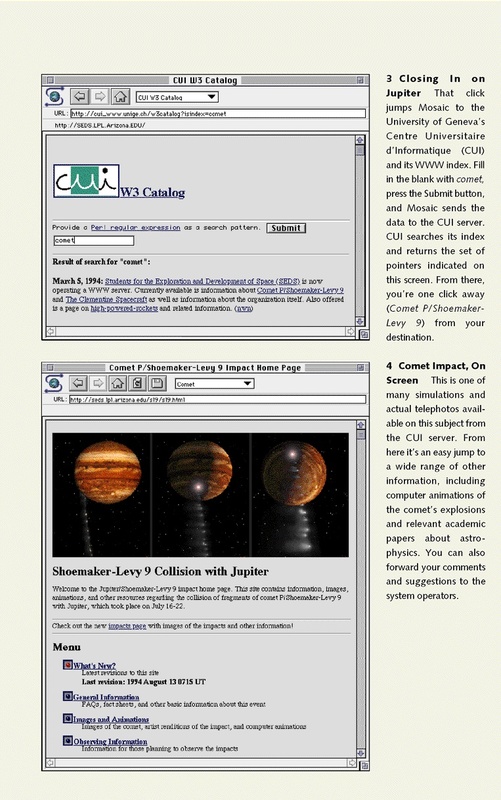 Webgrabs a collection of web sites stored within Internet Archaeology. Internet Archaeology seeks to explore, recover, archive and showcase the graphic artifacts found within earlier Internet Culture. Established in 2009, the chief purpose of Internet Archaeology is to preserve these artifacts and acknowledge their importance in understanding the beginnings and birth of an Internet Culture. We focus on graphic artifacts only, with the belief that images are most culturally revealing and immediate. Most of the files in our archive are in either JPG or GIF format and are categorized by either still or moving image, they are then arranged in various thematic subcategories. Currently, a major focus of Internet Archaeology is on the archiving and indexing of images found on Geocities websites, as their existence has been terminated by parent company Yahoo; who discontinued GeoCities operation on October 26, 2009. Internet Archaeology is an ongoing effort which puts preservation paramount. Unlike traditional archaeology, where physical artifacts are unearthed; Internet Archaeology's artifacts are digital, thus more temporal and transient. Yet we believe that these artifacts are no less important than say the cave paintings of Lascaux. They reveal the origins of a now ubiquitous Internet Culture; showing where we have been and how far we have come. Provided by RCF Editor Contains technical and organizational documents about the Internet, including the technical specifications and policy documents produced by the Internet Engineering Task Force (IETF). Internet Archaeology: In Which The Internet's Sordid Past Is Preserved And CuratedCrunchgear article by Devin Coldewey, Oct 10, 2009. "This tutorial looks at the Telnet protocol and using terminal clients. We will look at the standard DOS Telnet program and HyperTerminal application; both of which come bundled with Windows. We will use the Microsoft HyperTerminal application as our testing system"
Abstract: Archeologists use artifacts to make statements about occupants of a physical space. Users of information resources leave behind data–based artifacts when they interact with a digital library or other Web–based information space. One process for examining these patterns is bibliomining, or the combination of data warehousing, data mining and bibliometrics to understand connections and patterns between works. The purpose of this paper is to use a research framework from archeology to structure exploration of these data artifacts through bibliomining to aid managers of digital libraries and other Web–based information resources. A man describes his mental process for finding an old story he once watched on TV involving "a man and a woman coming to live in an apartment (hosted by the website) and the contest involved having them try to gain as much weight as possible within 30 days (at the end of which, the winner would receive some money)" . Read about the story he was referring to and later found here and here (all items preserved by Internet Archive). These stories were posted to theSpark.com, a once popular hub ("over 4.5 million registered users!" says the website banner). Archive of the site from Thursday, January 20, 2001. "Google recently completed a project to archive the past 20 years of Usenet messages within their free Google Groups service. These are text messages posted on newsgroups (kind of like electronic bulletin boards) since the early days of computer networking. Usenet predates personal computers, DOS, the World Wide Web (WWW), and Internet browsers; in essence, most of the Information Age. Usenet eventually became accessible through the web interface after the first web browsers began to appear in the early 1990′s" Internet E-Archeology by Richard Leis, Jr. February 16th, 2005 . "Google has fully integrated the past 20 years of Usenet archives into Google Groups, which now offers access to more than 800 million messages dating back to 1981. This is by far the most complete collection of Usenet articles ever assembled and a fascinating first-hand historical account". "quux.org exists to provide a repository of some of the best software and documents in the history of computing, and the tools necessary to use it. The influence of games such as Zork can still be seen in the gaming industry today. And experience gained in the early days of computing still is relevant today -- in fact, some experience in those days can't be gained on modern equipment." "This is one of the world's few maintained, modern gopher servers. On it,you will find a huge collection of information, files, software, archives, and mirrors pertaining to a wide variety of topics of interest to computer enthusiasts. You'll find humor, jargon files, ZCode games and interpreters, decompressors for both modern and old compression formats, emulators for old CPUs, and even the occasional old operating system." SDF offers gopher hosting as well! Abbreviation of Control Program for Microcomputers. Created by Digital Research Corporation, CP/M was one of the first 8-bit operating systems for personal computers. However, Digital Research Corporation made a critical strategic error by not agreeing to produce an operating system for the first IBM PC. According to the folklore, the president of Digital Research was flying his airplane when IBM came to call. IBM marched out and never looked back. The story I heard was that Bill Gate's preferred rival would not release the code for inspection by IBM staff. So they went to Bill instead. I heard the reason that they favoured Bill's rivals was because Microsoft didn't fit in with IBM's image. It was the laid back (then thought scruffy) casual clothing that has since become the more popular western style, that put them off. IBM made a bunch of crappy decisions around that time. The most important one was that they couldn't understand that when it comes to code, bigger is not always better. Kind time of day, ICANN! Wished to ask, that else for decisions such to close zone SU, it only has gone to growth! People in it put mad quantity of means, time and desire. Work on it, and you close! For the some people this zone is very important!!! I understand, if there nobody was registered, but last time registration grows and grows. Than you are content? What methods? Than it to you stirs? You are going to open new zones, but nevertheless close what go to growth. What for nonsense such? What you there are engaged in nonsense? For the last some months the zone has grown on 3 thousand domains. In Russia this zone love, and more increasing and more people wish to hold a site of domain SU. How many it is possible to be engaged in nonsenses, be engaged in the business, only and be able to disappoint and afflict people. My chief holds many sites on SU, and it has very much afflicted it! As so it is possible, neither from that nor from this, suddenly to take and close a zone! Whether you there absolutely with a head are friends that?! If you have an authority you still have also a responsibility, remember it! Also it is necessary to think 100 times before to make, and it is similar you did not think at all. Such sensation, that you sat, sat, to you not that began to do and have decided! to close zone SU. Disappoint people. Someone I booze time spends for favourite business - time, puts the soul, since morning till the night!!! And someone there with top, all in one place, they have taken and have closed. It is very a pity, that you such. To tell the truth, my web experience started with the first version (I think it was 1.2) of Netscape. But I well remember when one of my lecturers at Tel Aviv University gave us a short glimpse into the developing web via his Mosaic browser. It's only fitting that this was within the framework of a course devoted to the uses of hypertext in education. That was more than nine years ago, maybe ten. Traces of the way things were are still available on the web, though finding them probably demands more searching than it's worth. Since Mosaic was developed at the National Center for Supercomputing Applications at the Urbana-Champaign campus of the University of Illinois, it's rather logical that an archive of Mosaic information is available there. An additional glimpse into the past can be found here, and Chuck Lau, who worked on the development of Mosaic and Netscape has posted a wonderful archive of that recent, but seemingly so-long-ago, past. We were so caught up in learning how to use these empowering new tools that no one gave any thought about preserving the past. We were so quick at improving and overwriting anything old that once the dust settled, we realized that a lot of the history of the Net was quite literally gone. He built the Netscape Museum for the purpose of "rediscovering and preserving artifacts of an important time in the development of human communications". Not enough preserving has taken place. Good screenshots of the original Mosaic browser are hard to find. A couple of good ones can be found here. Opus also has an extensive library of technology articles, many from the late 90's. About a year ago, several web enthusiasts associated with the site Internet Archeology got together to develop Dump.fm, a curious virtual place to exchange artistic and cultural ideas. It looks like a chatroom, but in addition to chatting, you can ‘dump’ images into the chat as a kind of means of communication. The first time I logged on to the site I stayed for two hours. In February 2010, when I began using Dump, there were maybe ten regular users. Frequently, nobody was online. I would log in and see my own avatar appear in the corner of the screen, completely alone. Recently, Dump has hosted events in New York City. The user base has grown. It now hosts members of what might be called loosely, perilously, with no real confidence, ‘the Internet art community.’ Full Article Dump.fm Hall of Fame (very interesting and worth a click). The internet in its current form has been around for about 16-19 years (depending on your definition), which makes it old enough for people to have nostalgic feelings about its early days. Ofcourse computer networks were already introduced in the 1960′s and universities, the military and big companies were already communicating through the internet in the 1970′s and 1980′s, but “the web” didn’t start until the invention of HTML and web browsers. I was introduced to the internet in 1996 and got access to it from my own pc in 1998. At that pre-Google moment in internet history (remember ICQ, Geocities, the old Hotmail, AltaVista, IRC & De Digitale Stad?) there were already millions of webpages, today there are billions or trillions. It seems like many people are sharing these nostalgic feelings nowadays. They reminisce about the days in which you would dial in with your 28k8 modem, which took about 5 minutes, type in yahoo.com and wait at least a minute for all the images to slowly appear. But the wait was worth it, because it was all very exciting. Then there was still something epic and mystical about this new mysterious world, which everybody still called by its full name, the “world wide web”. … "*Visit the first ever registered domain, Symbolics.com…"
In 1991, Tim Berners-Lee (scientist at CERN), the inventor of the Hypertext Markup Lanuguage (HTML), put the first website in this format online, a copy of the original can be found here. Here’s an article on Salon about what an internet user in 1996 was doing on the web, conclusion: not much. An artefact of internet archeology: “A Guide to Cyberspace“, put online in 1994 and still online! The Onion’s take on internet archeology. Check out this great documentary series on Discovery Channel, Download: The True Story Of The Internet: or read the Wikipedia entry on The History of the Internet"
Source: https://lsdimension.wordpress.com/tag/internet-archeology/ (used without permission for reasons of posterity - needs to be modified to meet CyborgAnthropology.com article quality guidelines). PSFK, DECEMBER 22, 2010 Hoping to unearth artifacts from digital culture’s past, Internet Archaeology has launched a Kickstarter project to fund Now That’s What I Call Midi. The project’s goal is to preserve the past by converting MIDI computer files into a 16-track vinyl EP, featuring familiar tracks from the 90s (including Nirvana, Ace of Base, The Real McCoy, and many others). Only 500 limited-edition copies will be pressed". This page was last modified on 20 January 2011, at 22:19.